If you are planning to take up nursing as your course in college, then you should be well-prepared enough to comply with the prerequisites for nursing before you graduate in high school. Taking up the necessary subjects will help you your admission to the college much faster and easier as well. Different schools will have varying requirements for admission so you may need to contact the school’s registrar or admissions officer in order to know exactly what they ask from potential enrollees. One of the most important requirements is of course the high school diploma. You will have to finish your secondary education first before heading on to college. This may sound easy for some, but if you are thinking about entering nursing, then you should be prepared to present your transcript with good grades in the most important subjects that will be needed for nursing. So this means that you also need to study well during your high school days. A grade of C or higher and a 3.0 GPA will be the minimum standard in applying for a nursing course. The next thing that you should comply with is the basic subjects that will be needed for a nursing course. This includes General Chemistry, Psychology, Human Anatomy and Physiology, Introductory Biology, Nutrition, Statistics, Microbiology, and Human Development. You should be able to take these subjects during high school and should also exhibit good grades in it. The number of units or semesters required may vary from one school to another. There are however, other subjects which are a basic requirement to all college admissions. They are Mathematics, English, Arts, Humanities, and even a second language. These are general subjects but it is also important that a student should be able to pass these courses as well. The last requisite that a student should comply with is volunteer work. Not all schools would require this but for most of them; a clinical experience would be an important factor also. Gaining first-hand experience with what it would be like to work in a medical setting will help students to understand and grasp the concept of what their future work would be. It also makes it a lot easier for students to learn the basic tasks that are done in a clinic or other medical facility. Having a good background of the nursing profession will make it clearer as well if a student really wants to pursue a nursing career or not. Not all schools and universities will have the same uniform requirements but these are what can be commonly found on their lists. So if you wish to take up a nursing course in college, make sure that you have prepared yourself well and has done all the necessary research in order to know what your choice of college would need from you once you give your application to them. Getting some help from your school counselor is a big advantage as they can help you plan on the courses and subjects that you will have to take. If you are already a certified nursing assistant it makes sense to continue your schooling in order to advance in the medical profession. 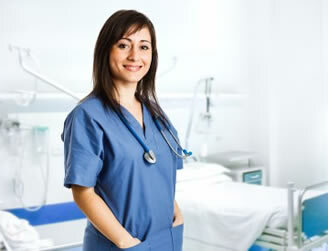 You can visit this page to learn more about transitioning from a CNA to a nurse.